The new year at Transforming Faces is off to a great start, and we wanted to take a moment to update you on changes and new additions to our team in Toronto. We are delighted to share that Hugh Brewster (M.Ed) has stepped into the role of Executive Director! 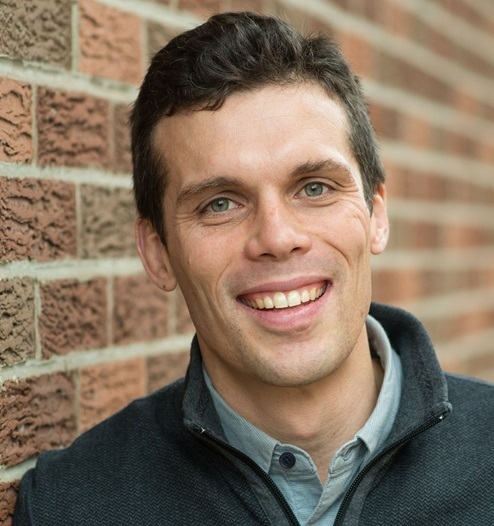 Hugh most recently served as World Vision’s National Manager for Canadian Programs, leading a team that partnered with over 100 diverse non-profits through grants and capacity building. We know that Hugh’s passion for leadership, transformational development and organizational capacity building (not to mention his great sense of humour and knack for making brewed coffee!) will be an excellent fit for the team, and for this stage of TF’s growth. Check out our Q&A with Hugh below and get to know him a little better! Welcome to the team, Hugh! Tell us a little bit about what drew you to Transforming Faces. Thanks! I am pleased to join such a strong and dynamic team. I am very impressed by TF’s holistic, multidisciplinary, and long-term approach to supporting children born with cleft lip and palate. TF’s commitment to true partnership with our local teams of professionals is also inspiring. It is hard to beat the motivation of stories of children experiencing marginalization due to their cleft palate, moving forward with confidence and good health! Coming to work each day is a joy. What are some of the past experiences and learnings that you will be drawing from and bringing to the table in your new role? I loved collaborating with organizations that are passionate about the well-being of children across Canada. The international context of TF’s work poses unique opportunities and challenges, while some elements of effective partnerships are consistent around the world: demonstrating and sustaining impact with participants; growing organizational capacity; and effectively telling stories of transformation. I recently helped found a small non-profit that engages Indigenous youth in healthy and active living. The absolute necessity of earning a community’s trust and being responsive to local aspirations and solutions is definitely a learning that I treasure. What are you looking forward to in these first few days in your new role? I am grateful to be able to travel to the Cleft 2017 Conference in Chennai India. This is an important gathering of practitioners, academics and non-profit partners from around the world focused on the well-being of patients born with a cleft palate. TF is thrilled to have representatives from its international partners to join a strong contingent of Board and staff in this opportunity to learn, network, and plan for the future. I have already heard great things about our partner leaders, so I am looking forward to meeting them in person shortly. Finally, can you share with our partners and supporters a fun fact about yourself? I love keeping active through the sport of Ultimate Frisbee. I was privileged to join Canada’s contingent that competed for a World Championship last summer in London, UK. Please join us in extending a very warm welcome to Hugh! Our talented Program Manager, Abdon, has recently accepted the role of Program Director. He is the primary contact for our partners in South America and brings years of experience (as well as fluency in many, many languages!) to the role. Congratulations Abdon! 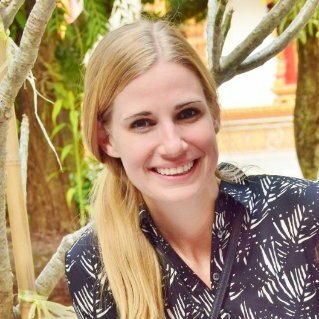 Courtney, who started out at TF as our communications guru, has shifted to a full-time focus on programs! Relying on her extensive international experience and outstanding leadership skills, she will be working closely with some of our partners in Asia and Africa. We also welcomed our new Communications Specialist, Cari, who started with us in January. You’ll be hearing from her a lot on our blog and social media channels in the future! We look forward to a bright year ahead with a strong, dedicated and talented team.